At PICNIC for a few hours, saw this great location-based start-up, Shoudio, in the “Marketpace” tent. The web interface is nice, but I could imagine improvements in searching, tagging and filtering. The iPhone app is slick, though not yet put to the test (by me). Seems like great potential here. 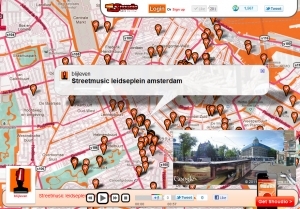 You can record and share sounds through Facebook, Twitter, Foursquare, and there is also content from aggrigators such as soundaroundyou and soundseeker and probably more. 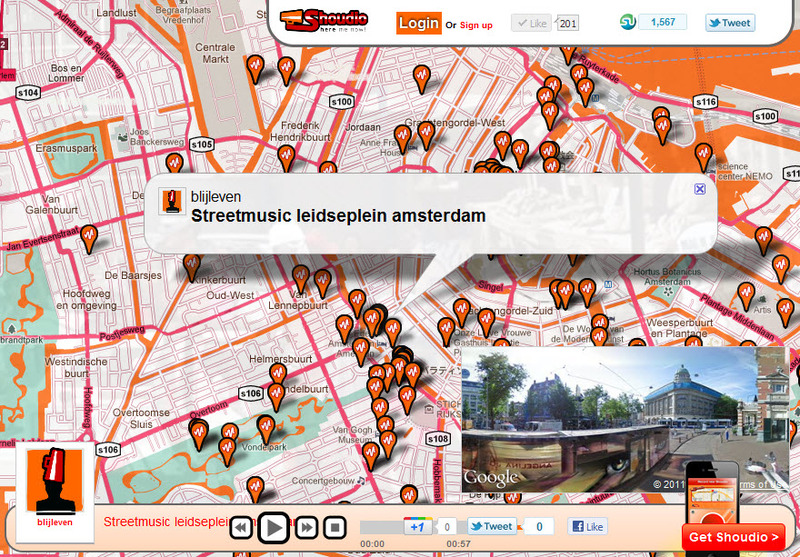 With an open API this can be used by developers to make customized audio crowd-sourcing applications. City, bike, and architecture tours come to mind. Photo can be uploaded with audio. Something for birders? 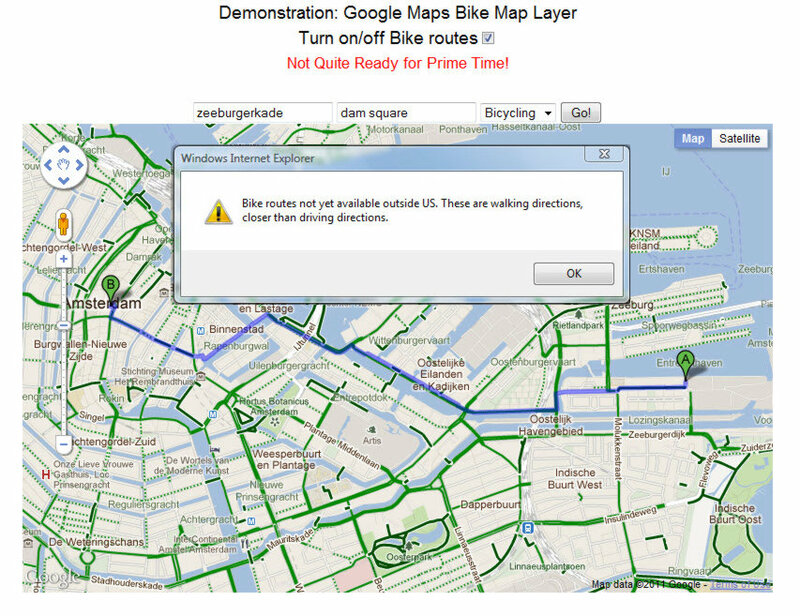 There is already the international open cycle map layer… so can’t they get together on this? 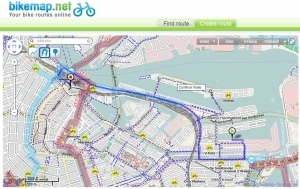 Open cycle map is one of the backgrounds on the excellent free website, Bikemap.net. 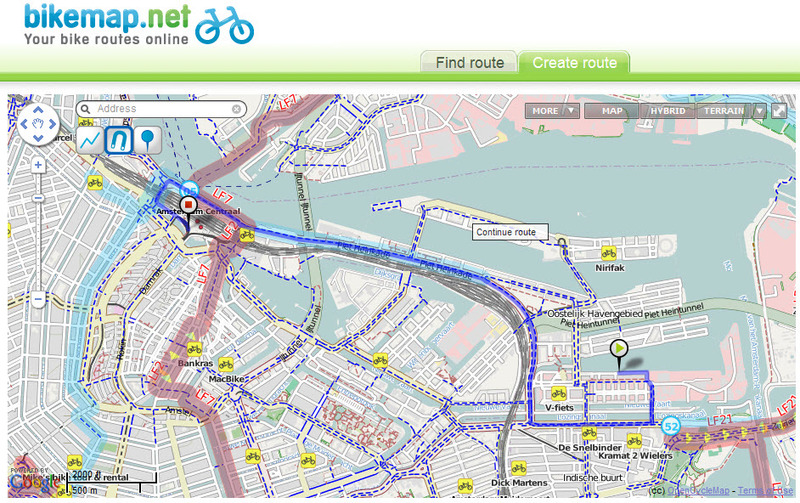 However this is a point and click route planner, and does not use the underlying bike map layer for routing. 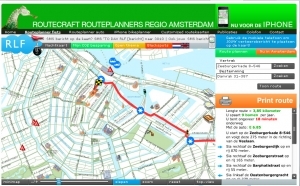 Another approach, specially designed for use in Amsterdam is Routecraft Routeplanner, was developed by DAVdigital which also makes customized maps, interactive and static, for organizations in and around Amsterdam. 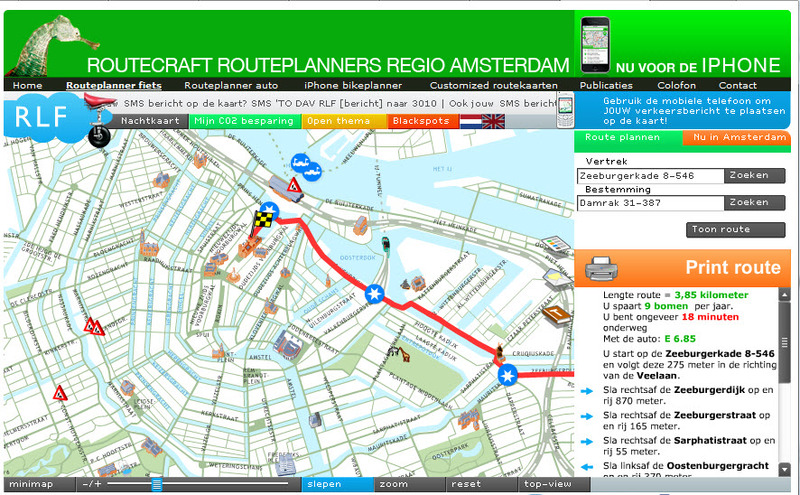 This one really works (within greater Amsterdam), so it wins the prize for up-and-running. New York City’s Severe Weather site allows victims or observers to document their damage through a reporting feature. This comes with the caveat “Insofar as any posts made concern weather conditions and weather-related service disruptions, the City will not take action.” I’m not sure why people would use this tool, but perhaps in the future it will be a real communications tool. 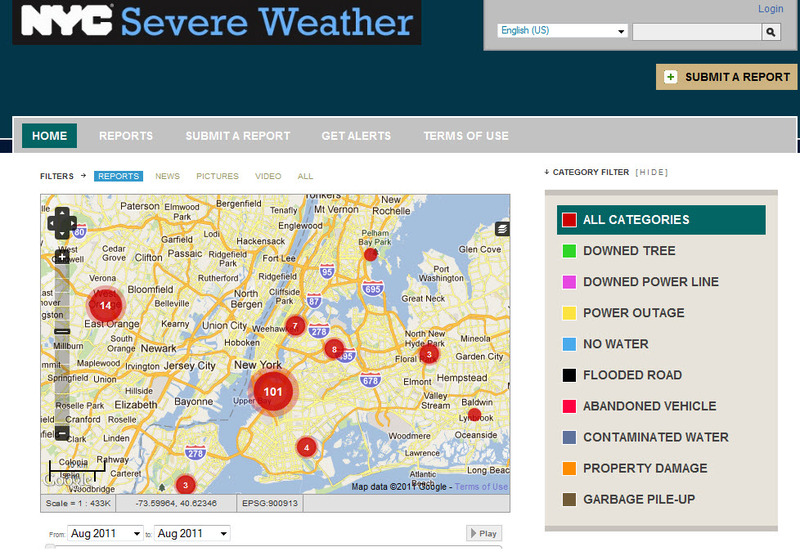 The same site was used for reporting neighborhood situations during the big blizzard last year, according to Mashable. 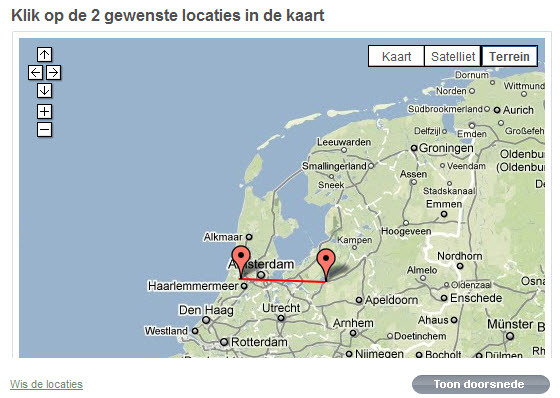 Oh such a nice application (not new, but just discovered) from Dutch GIS organization, Alterra. 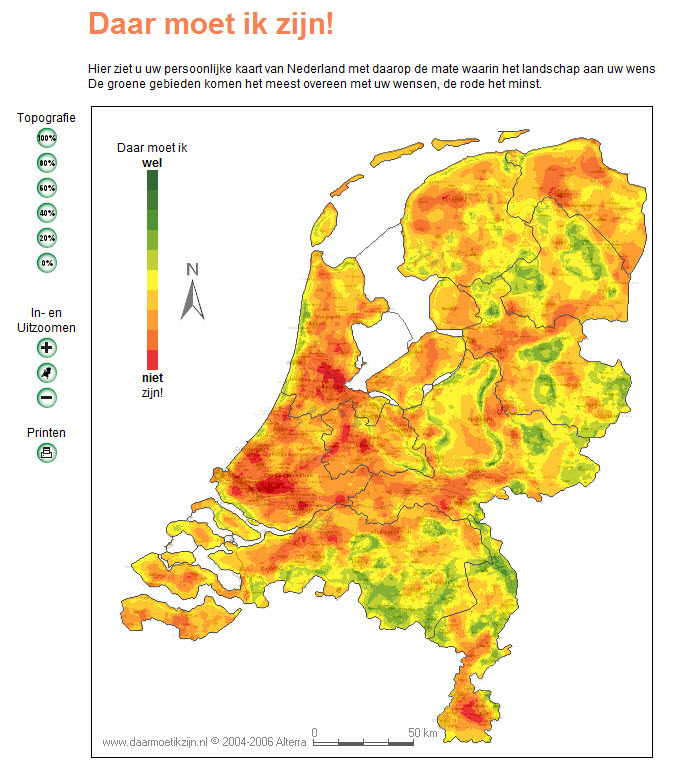 “Daar Moet Ik Zijn” allows you to pick the type(s) of landscape you like, weight them by how pervasive they should be, and how important they are… and then voom! 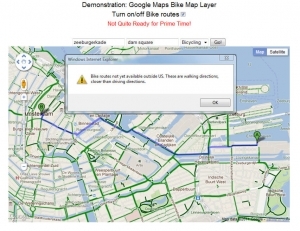 … nice map showing you which places fit your preferences. 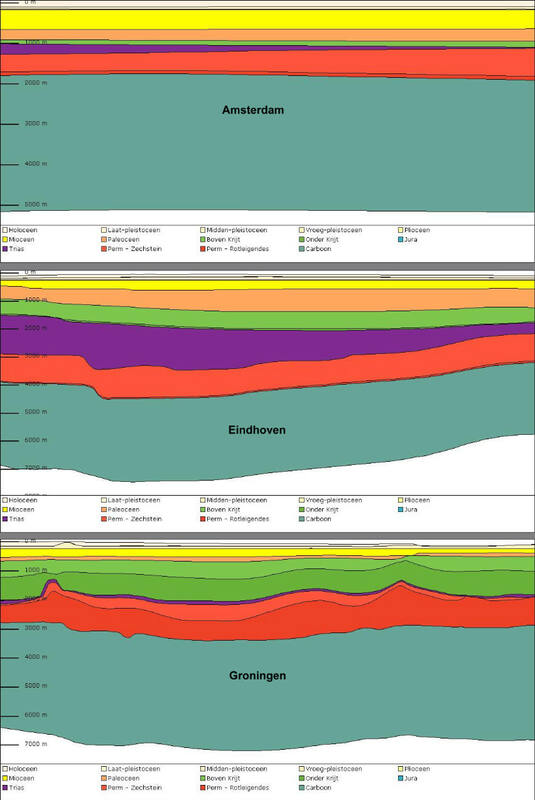 This should be useful for … well, vacation planning, or in case I want to move somewhere, and by the way they are collecting statistics probably to understand what is important to Dutch people (at least geeks). My map (shown) heavily weights woods. I love my environment here in Amsterdam, but do miss the trees. This is a nice and useful little Flash puzzle from Rethinking Schools.org. (I was going to look up these things anyway, and this is a nice mnemonic tool.) Checked myself on the second try and I performed significantly better… maybe I should have another go for perfection. 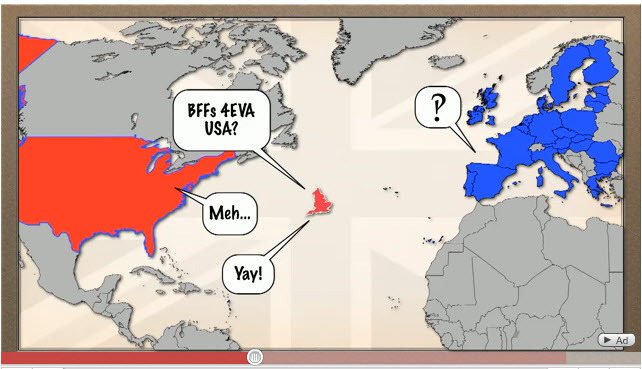 I wonder how this was made and by whom… trying to find the source. It would be nice to also identify cities, rivers etc. this way. I guess American kids are trying to catch up and overcome the image crated by Miss South Carolina a couple of years ago! I have a feeling that all of these names will become much more familiar in the decade ahead. This is a great little animation: “The Difference between the United Kingdom, Great Britain, and England Explained“… plus a lot more explaining about the old British Empire, and “the Crown”. The guy (C.G.P.Grey) sure talks fast, but thank goodness you can replay it if you are motivated! This is the kind of information you sometimes wonder about but never get around to looking up. His source is Wikipedia, so hope they’ve got it right! 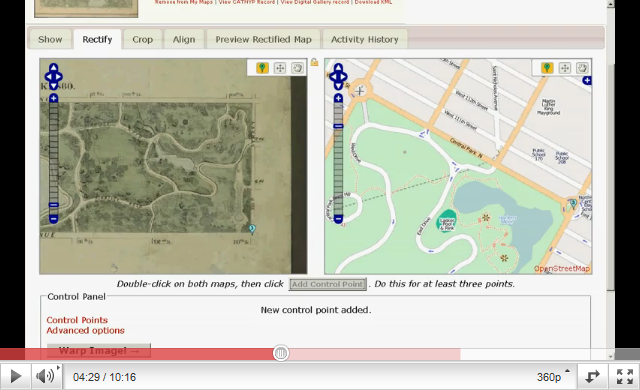 Found this video via NACIS (North American Cartographic Society). In case you can’t take the monologue, he published the script on his blog. Estimates of people at the Cairo protest vary from 10,000 to 2 million. 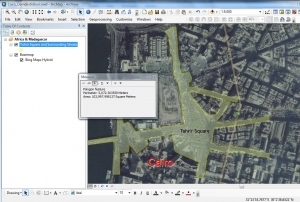 Using ArcGIS to outline an polygon which might represent the heaviest crowd, the area is 104,000 square meters. Assuming a rather tight crowd, the average could be 2 people per square meter. So my estimate is 200,000 people give or take 50,000. And of course there are masses, coming and going, and in all the streets not included in the polygon. Anyway, impressive, but not a million. I don’t think it matters. The giant Dutch research organization, TNO, and the National Museum of Natural History (Naturalis) collaborated on this application. 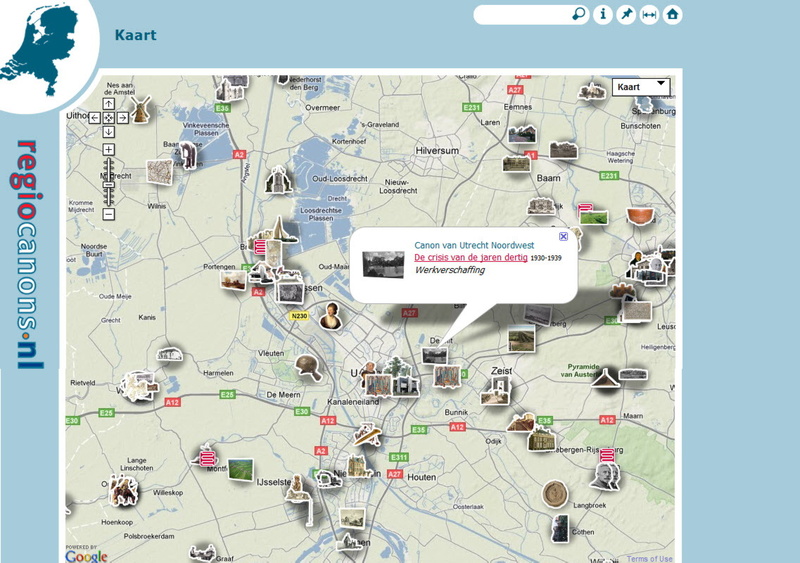 The website also provides detailed information about all those ancient periods, including the creatures who roamed the Dutch landscape. I’ll never work again. Too much fun.